Sometimes, what with the amount of preparation needed in establishing a bar or restaurant, owners overlook the necessity of advertising their business. The owners instead rely on referrals by customers. This can sometimes take a long while to build, and a strong branding strategy can help push the business’ popularity forward. One such branding tool can be custom printed t shirts. An establishment’s logo is typically displayed outside the restaurant or bar, on the table napkins, and sometimes even on glasses and pitchers as decoration; however, having it printed on the staff’s uniforms is generally a good idea as well. Since there will be waitstaff, bar staff, cashiers and other employees inside the restaurant, the location’s company logo would be more visible to customers. 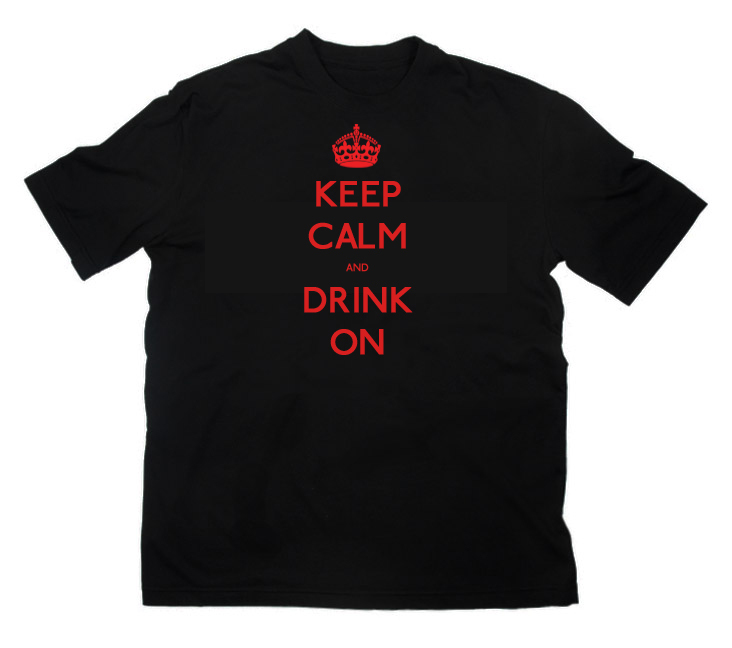 These bar/restaurant t-shirts could be an effective method in making the icon or logo stick in people’s minds. In designing the logo for t-shirts, keep in mind that although the colors should be eye-catching, it may raise your printing price on t-shirts. A one or two color design will cost less than a full color design on a shirt. Aside from the logo, the whole t-shirt can be customized and designed to have the address of the business, a tagline, or just a play on the restaurant’s name. Custom printed t-shirts as a uniform for the business’ employees is an investment since it is a form of advertisement. If for example’s sake, a white shirt with a one color print features a striking design or witty tagline to compensate for its simplicity, you can keep it simple. While using many colors has a lot of advantages, such as intricate designs, it also has the disadvantage of raising the production cost per unit. Also, remember that when investing in a promotional product, benefits should always be higher than costs. For the majority of our clients that are bars and restaurants, they opt for screen printed t shirts. Silk screen printing makes use of a wooden mesh that will support the stencil. The logo is printed part by part since each stencil will be created for each detail that is similar in color. Silk screen printing makes use of several stencils that make up the whole design. The first layer is dried out before adding the next layer and so on to make sure that it won’t smudge or get ruined. Screen printed t-shirts are inexpensive to produce, but again if opting for multi-colors, can be costly in terms of setup. Aside from having custom printed t-shirts as uniform for the staff, it can also be used as a promotional item for an event or as a prize for when the bar/restaurant holds contests or raffles. For example, if it is the customer’s birthday visit to the establishment, or if he spent a certain amount on the restaurant or bar, the t-shirt could be given as a token of appreciation for the customer’s support. Aside from this, custom printed t-shirts that are designed based on the “personality” of the business can be sold to customers. This is an effective advertising strategy. If the customer wears the shirt at a public gathering, it will be exposed to other potential customers. This is where adding the business’ address or tagline could be most effective. Indeed, using custom printed t-shirts is a creative advertising method and it brings a somewhat personal touch to any restaurant or bar. Custom printed t shirts with you bar or restaurant’s logo imprinted can not only promote your business, they can make you money as well. If a customer enjoys your establishment, they are likely to consider buying one of your t-shirts to support your business, and also to have as a reminder of the fun they had. Make sure your design is one that fits your clientele. If you cater to a young crowd, make sure you have a trendy design. If it’s an older crowd, say one that appreciates the 1980’s or 90’s, go with a retro design that will click with them. Think of it as just another way to build your customer’s bond with your business.